Spend the day at one of Vancouver’s finest private golf courses in support of a worthy cause. You’ll start your day at Shaughnessy Golf & Country Club with a delicious buffet brunch followed by an unforgettable game of golf – complete with on-course massages, wine and cheese, blackjack, scotch, cigars and more. After spending the day on the greens, join us in the clubhouse and network with industry leaders over cocktails and hors d’oeuvres. The day wraps up with a delectable banquet dinner and presentation of prizes. We are confident that September 17, 2018 will be your best golf day ever – no matter your score. Plus, you will leave the course knowing that you helped support local children. And when children are emotionally, socially, and physically healthy, everyone in the community benefits. Relive the memories and view photos here from the 2017 Golf Tournament or check out the video below! 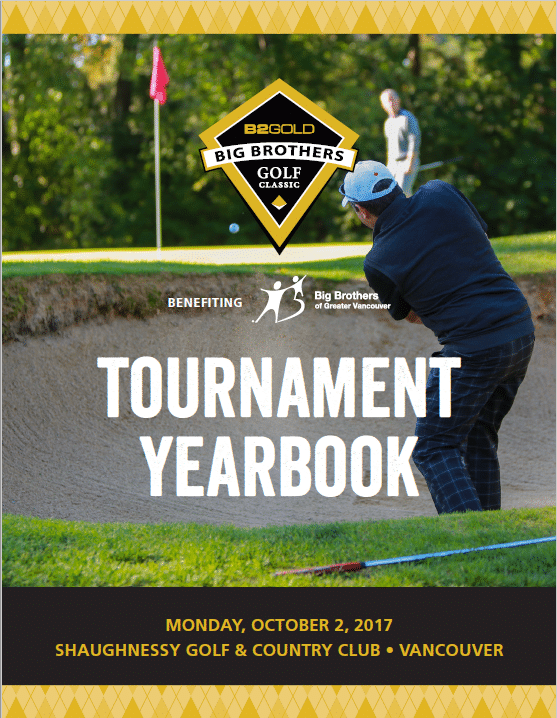 Check out the yearbook from this years tournament below.